This workflow assists in the creation of the .JSON file which DynoBrowser needs to set up the presets avaliable to the Revit users. This is the last of three nodes. See the first and the second before reading this. Refer to the workflow post for further details. This node gets a Preset or a list of Presets, and builds the content of the json configuration file. This is the second node of a group of three. Go to the first one before continue reading. As an input will take the preset name, and the input or inputs of that preset. If more than one input is desired, they need to be grouped as a list and then connected to he “Preset Input(s) node port. This custom node contains a python node inside. This node is the first of a group of three nodes. They are meant to help with the creation of the preset file, which is a .JSON file.Refer to the workflow post for further details. With this node, you define an input. It has three inputs; Name, Value and Description. The node will look for the data type and write it accordingly. You can define more than one input, and lace them together into a list and pass it to the next node, which is DynoPresetGenerator. Running from a workshared model, this node will take an element list and a target parameter name, and it will get the Workset name for each element and write it to the target parameter. 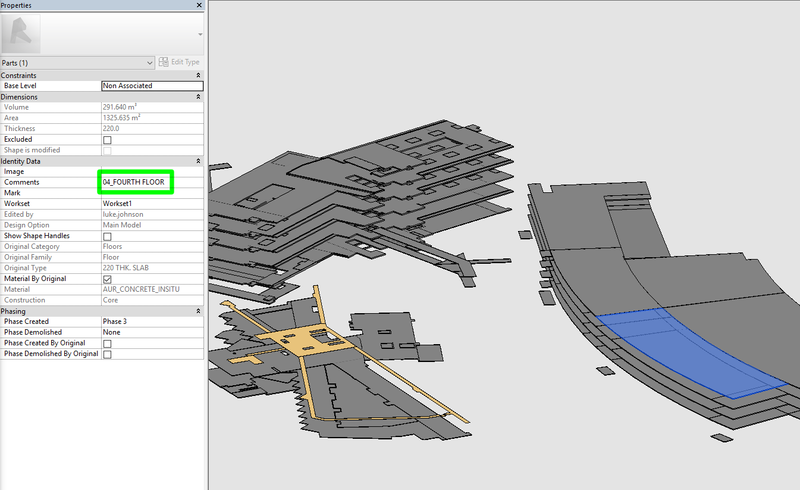 Using a selection of nodes to gather the parents of given Parts in the Revit model, we can also get parameters or properties from the Parents and write them into the Parts themselves. For example, we could obtain the Level of the linked Parent Floor Elements for a set of Parts, and then write that into the Comments parameter of the Parts themselves. 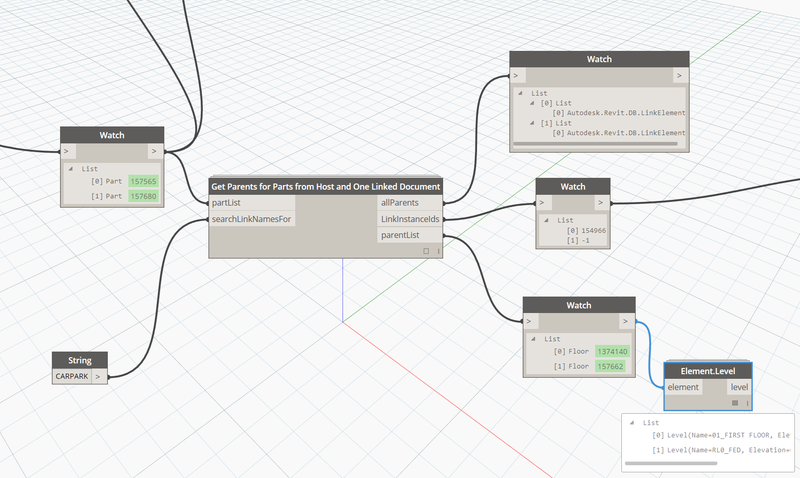 This node takes a list of Parts, and one string to search Link names for. 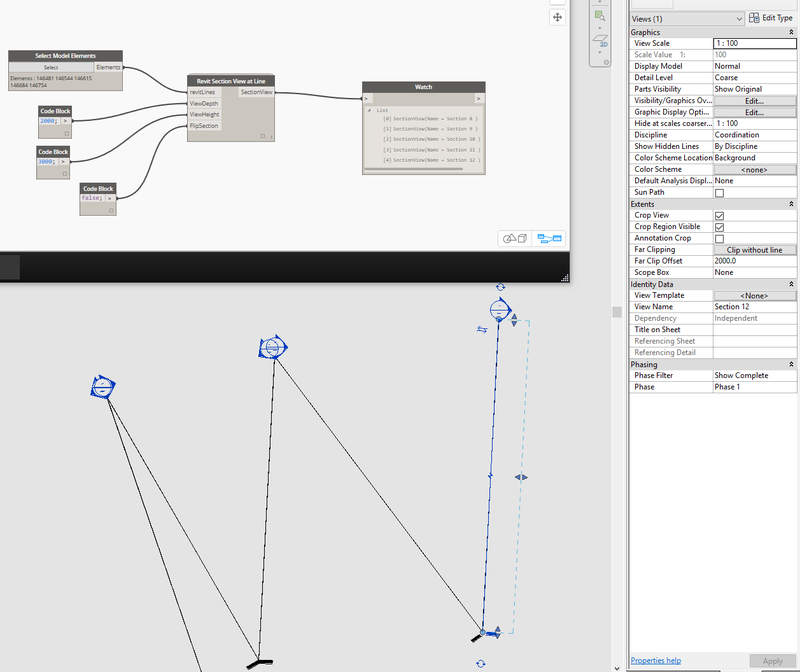 It then gets the first parent from each part, and attempts to obtain the actual Revit element from either the current (host) model, or from the Link document matching the string input. With a bit more work, this node can be extended or replaced by a new version that handles parts from many different source Link documents. This node takes two matching length input lists. It scans the primary list to clean for null values, and then attempts to replace those null values with matching items from the backup list used for null replacement. 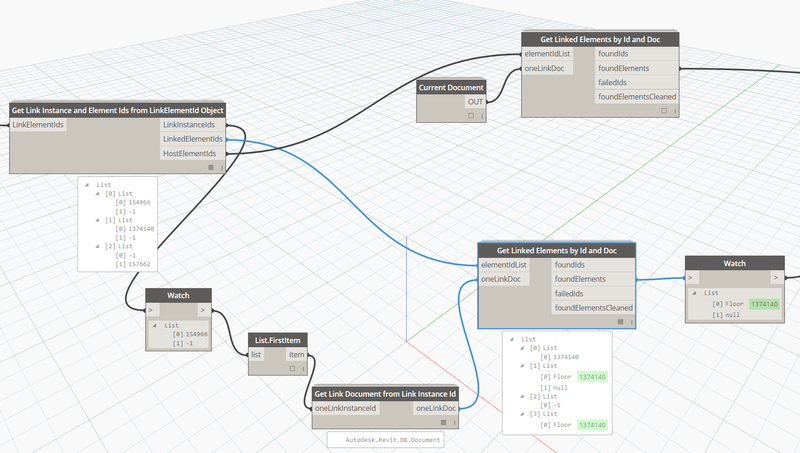 This node will take a single Document object, and list of Element Ids, and attempt to get the corresponding Revit elements. It can work on the current Document, or for Linked documents.